Mission: SANTI propagates technical diving and benefits of dry diving among divers around the world. We extend the limits and technical boundaries. Safety and comfort of the divers are our priority. SANTI provides that with highest quality of our products. Vision: World leader in providing the best quality technical diving equipment. Values: Trust, Safety, Innovation, Business Integrity, Passion. 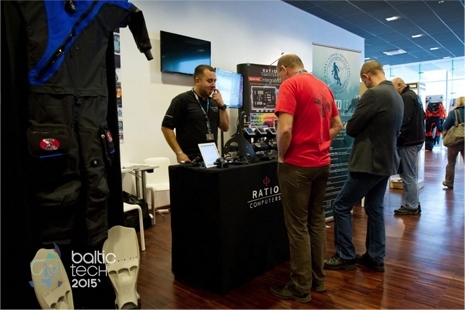 SANTI is the co-founder and one of main organizers of one of the most important international conferences in the technical divers community called Baltictech. This unique event is taking place periodically in Gdynia and with every edition it gathers hundreds of participants and the most eminent speakers from all over the world. The conference touches most current and interesting subjects. Lectures, workshops and discussion panels are taking place as well. This event is a occasion for meetings, discussions, getting new connections and business relations for divers from around the world, which significantly contributes to development of the divers international community. Other technical conferences – SANTI is taking active part in many technical conferences that serve the community integration, trade development and discussion over the legislation that relates to diving subjects and safety of the diving activities. The mission of SANTI is set up on propagating knowledge and sharing the newest achievements on the field of technical diving, which is getting more and more popular in the diving community. SANTI supports innovative diving program ‘Understand the depth’ which aims to strengthen the independence, self-esteem and self confidence of the people with intellectual disabilities by diving. Everybody can support the project and help talented members of the ‘Understand the depth’. 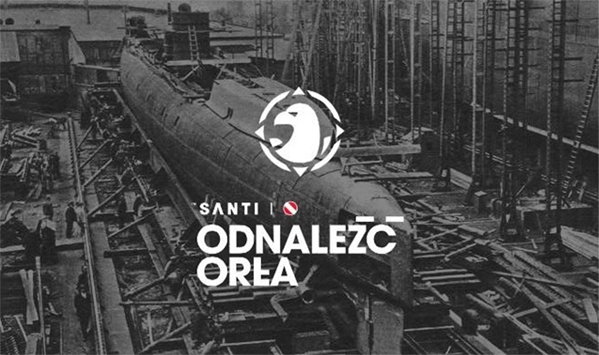 SANTI Find the Eagle is a long-term project created to find the wreck of the most famous Polish warship Eagle (ORP Orzeł) who disappeared in the World War II as well as to solve the mystery of sinking of the Eagle. The expedition crew consists of four divers, two hydrographers and two historians. The first project milestone – in June 2014 – was an expedition to the North Sea to verify the potential position of the Eagle. SANTI is supporting the SENDA expedition by providing the Team with Ladies First collection of drysuits and undersuits, believing that combined forces – best diving equipment and excellent diving skills will bring great results. The 2014-2018 Sedna Epic Expedition will immerse itself in the issue of disappearing sea ice snorkeling the Northwest Passage in 100 days. The Sedna Expedition will serve as a “call to action” for citizens of the world, including youth, providing aboriginal and scientific knowledge to inform governments of the world on implementing science-based policies to mitigate global warming. 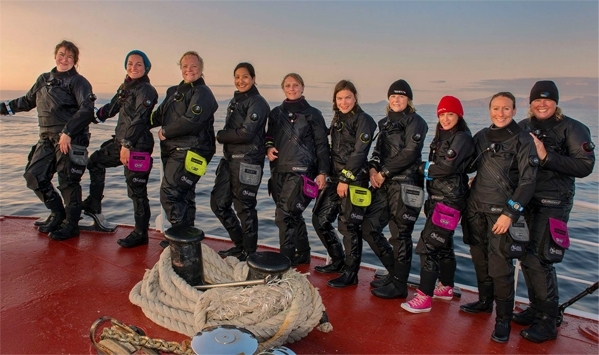 Named after “Sedna,” the Inuit goddess of marine mammals, the all-female Team Sedna will inspire Inuit and Inuvialuit women and girls to think big, to follow their dreams, no matter how out-of-the-box they may appear.